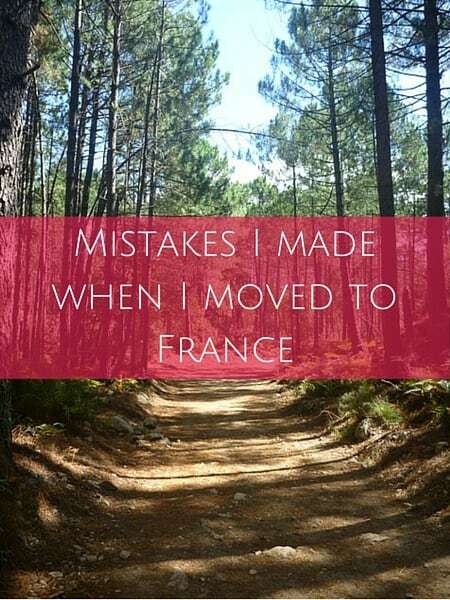 They say that hindsight is 20/20 and that also applies to expat life. You only learn by doing and can only anticipate so much before making a major life change. Only after living in your new home for a bit can you look back and reflect. 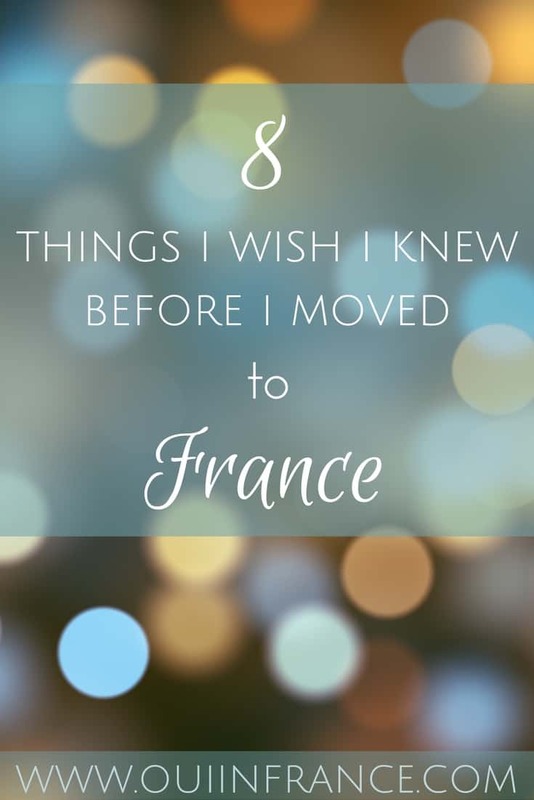 I’ve written about what I love about expat life in France and what I hate, and although I enjoy life in France most of the time, there are some things I wish I knew BEFORE I moved to France. That making friends and fitting in would be hard. Harder than expected. Much. 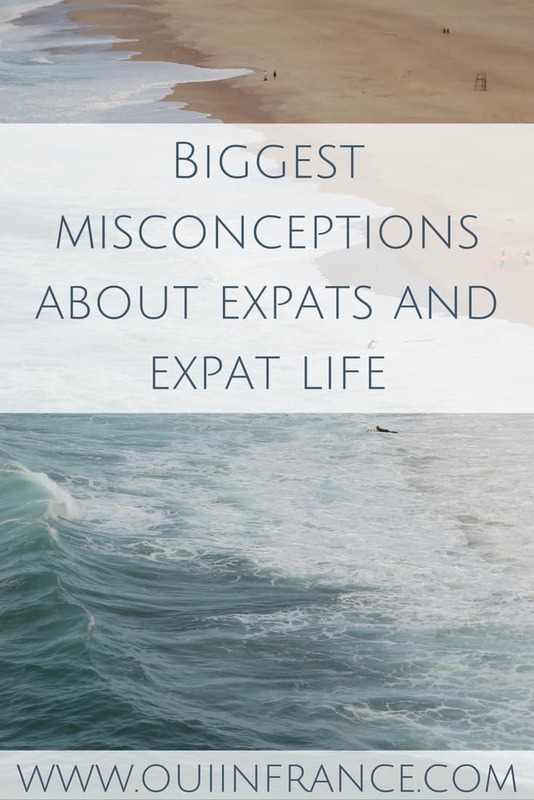 I’ve written about the lonely expat problem and an update — but the fact remains that making friends as an adult is not an easy feat. Add a new country and language to that (and living in a small town) and it’s realllllly hard. It’s not that I thought making friends would be easy exactly, but I just figured after some effort and almost four years here I’d have more than a few acquaintances and people I’m friendly with. 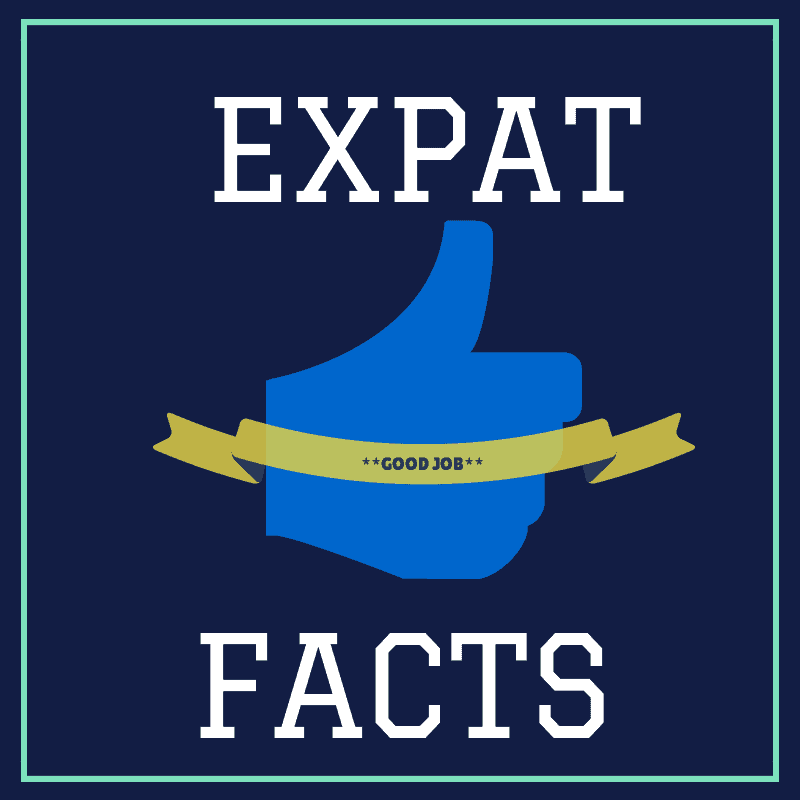 But check out this post for some tips on making friends abroad. Whatever you do, don’t give up! I’m right there with you. Learning French is an ongoing process without an end date. Know that learning French will be an ongoing process and that you’ll get there. You’ll improve daily. You’ll surprise yourself and those around you. But don’t show up saying you aim to be 100% fluent in every sense of the word in a month. Won’t happen. Unless you’re 99% there before you move. There’s always more to learn and do on your quest to learn French. That French wine and cheese will kind of become an obsession. Who can resist the allure of 4 euro bottles of wine and 2 euro wedges of Brie? Not me and I’m sure I’m not the only one. 😉 You can seriously get decent bottles of wine from the grocery store for under 5 euros. Same goes for all kinds of cheeses. 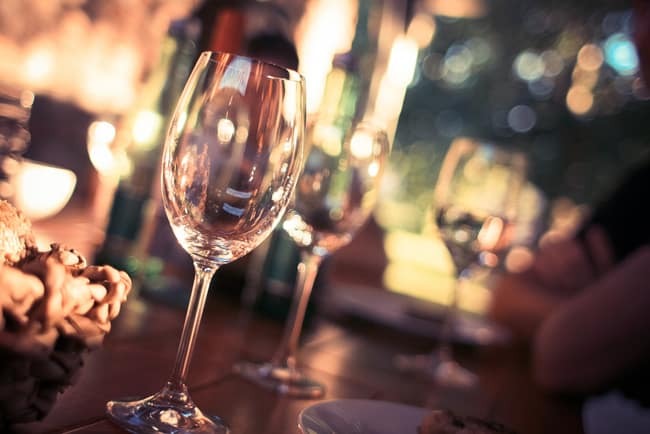 Having a French meal doesn’t have to empty your wallet. I indulge in both wine and cheese often. That sometimes you will hate France and it’s not France’s fault. Life problems happen to all of us. It’s a fact. If you’re a living human being, sh*t happens — it’s a fact of life and not every day will be a good day. But when you live abroad, sometimes it’s easy to blame those problems on the country you live in because it’s, well, there, and think the grass is greener elsewhere. You tell yourself this would never happen at home! And then you calm down and realize that while of course some problems are related to France, many of them are just “you” problems or “life” problems and not issues with the country you live in. That life problems seem magnified when you’re so far away. In a place that isn’t really your home home, it’s hard to cope sometimes. Friends and family going through life changes like buying a house, having children, marrying, illness and health issues are all more difficult to manage when you’re so far away. FaceTime can only do so much and sometimes you just want to be close to those you care most about. You can’t truly experience life from afar through a screen. When you go through tough times, the added fact that you’re far from the comforts of home (including your support system) and in a new culture with a language that doesn’t roll off your tongue as easily as English can make tough times feel even more unmanageable. The littlest things can make such a huge difference. In a good way! If you told me four years ago that I’d enjoy Sunday afternoon walks to nowhere in particular, I would have laughed at you and said no way. But now I’ve come to take pleasure in seemingly silly things like just walking my dog or getting 20 cents off a can of tuna that’s never on sale or stopping to chat with my elderly neighbor. So many little things that I used to take for granted back in the USA become a big deal here (like small talk and errands) and I look forward to the silliest things in France. I don’t know if I’ve become more appreciative or if my perspective has changed as I’ve learned to slow down and breathe more, but getting fresh flowers at the marche or even just taking some time to sit down with a fresh cup of coffee each morning have become things I look forward to. That your spouse or partner will be your everything. In marriage, we all wear multiple hats depending on the day and try to be good to ourselves and our partner as we move through these various roles. 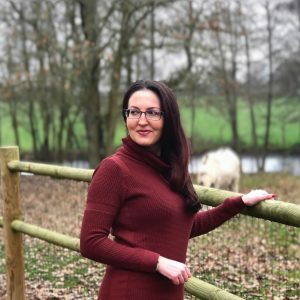 I feel like expat life opens you up to being so much more for your partner. Tom is my lifeline and not only fills the husband role but is sometimes the teacher, translator, chauffeur, sounding board, protector, psychologist, doctor, best friend and more — often wrapped up into one and sometimes all in the same day! That moving abroad would be the best decision I’ve ever made. 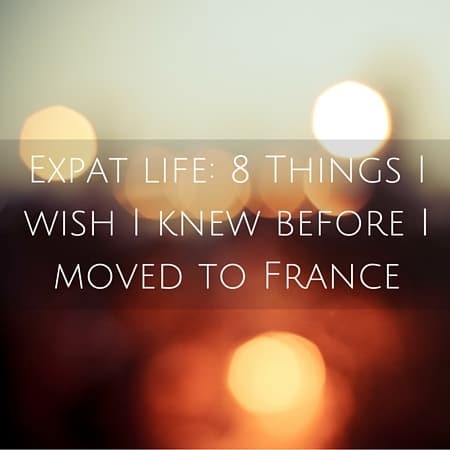 What do you wish you knew before you moved abroad? Can you relate? I wish… I wish I had known earlier how important the social network you build from scratch in your new country matters. For the first few years, I was pretty isolated. I was used to being a backpacker, you meet people, socialize but you don’t keep in touch. Making real friends is harder. Yup keeping in touch is big and takes effort from both sides. I feel like it comes naturally to some people more than others and distance can make it harder when you don’t see the person face to face very often. But it’s absolutely worth the effort. Thanks for checking out the post! Diane – there’s a great organization in Anjou for meeting English speaking folks and potential friends. It’s called the English Speaking Union (ESU). Plenty of good folks, of different ages, with a monthly event, normally between Angers and Saumur. It’s based out of the American Library in Angers. Thanks Terry, I’ll look into that! Very true what you said. I moved from Canada to the US and found it an adjustment. Your dog is darling. 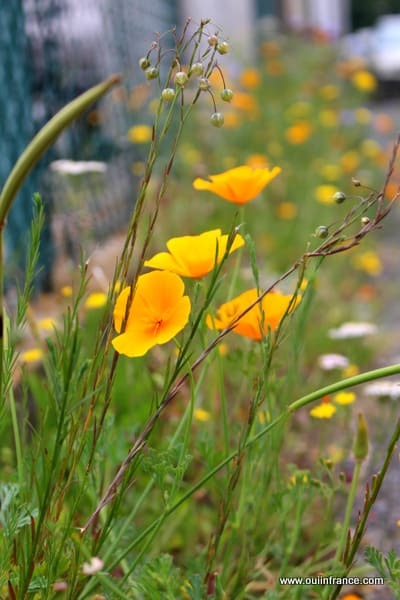 Where in Western France are you? I have been to Bretagne and really enjoyed the area. Great post on Corsica. That is one region I have yet to visit. Hi there, yes even from one English speaking country to another, there are so many differences to get used to. Thank you about Dagny. 😉 I live in the Maine-et-Loire region not too far from Angers. So happy you enjoyed the posts! Hey, I often go to Angers as my mom lives there. We could meet some time if you’d like to. Hi Eve, let me know the next time you’re there on a weekend! Thanks for the offer! Oh my thank you for this article! Like you it’s been almost 4 year that I’m in Belgium, and I wish I knew before that it would be difficult to make friends! And I wish I knew before it would be so hard and take so long to find a job! All of this is true! 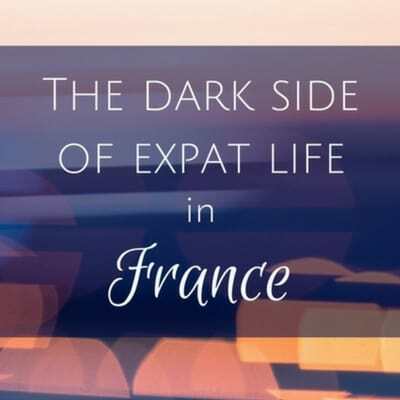 I knew before I moved that the labor market in France works quite differently than the one in the US, but I didn’t really understand what impact that would have on my life and my career. It’s been a complete shock to make 1/5 the income I had in the US with the same type of job, and because the labor market here is less flexible than in the US, I am stuck. It’s quite frustrating! Yup, that’s a really great point to mention. There are so many things that seem kind of simple or not THAT different and then once you’re here and try to figure things out, you realize just how big of a change it’ll be. Hope things have been looking up for you on the job front! Yup, the pros outweigh the cons for me and until that changes, I’ll be here. The language is no joke and it’s interesting how few people talk about how hard it can be! But as with anything, hard work pays off.